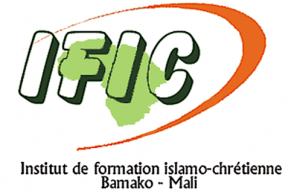 IFIC (Institut de formation islamo-chrétienne) is an initiative undertaken by the Missionaries of Africa (White Fathers). It is directly in line with the charism bequeathed to this Society by its Founder, Cardinal Charles Martial Lavigerie. It is part of a long historical presence of the Missionaries of Africa among African Muslims and of their encounters with them. The Institute is a continuation and recognition of a considerable commitment of the Missionaries of Africa over the last thirty years. Give objective information on the doctrinal basis of Islam as it is lived by Muslims. Create an open and apostolic Christian reflection based on these realities and propose some perspectives for the life of the Christian communities living with Muslims. This pastoral section, SIRC, functioned for 13 years within the framework of PISAI. However, it only functioned with difficulty and when PISAI wanted to suppress it, the General Council demanded that this pastoral year be set up in both French and English speaking parts of Africa. In 2000, the Missionaries of Africa decided to transfer the pastoral section of PISAI (SIRC) to Africa, beginning in June 2002. By leaving Rome for Africa, it was thought that, on the one hand, this would facilitate access to this kind of training for the members of the African Church, and on the other hand, it would ensure an education more in tune with the environment in which the people were living and working in Africa and who were Africans themselves. For West Africa, after a feasibility study regarding the creation of a new implantation at Bamako in Mali, the General Council took the decision, on the 12th January 2004 to establish a French speaking Pastoral Year in Bamako, linked with the already existing “Foi et Rencontre “Centre. The General Chapter of 2004 ratified this decision (Capitular Acts, 2004, 3b.) This was the genesis of I.F.I.C. “I.F.I.C. sees itself as being at the service of the Churches in Africa, both Catholic and Protestant, in order to foster a better understanding and a more open encounter with our brothers and sisters of Islam. It wants to be a place of training of formators working in the areas of dialogue with Islam. I.F.I.C. offers a year’s studies to give an objective and detailed knowledge of Muslim realities especially those experienced by African Muslims. It also wishes to offer, at the same time, a positive approach to these realities and a Christian reflection on them. Both themes are inspired by the spirit of Vatican II and the teaching and example of Church leaders over the last fifty years. Finally, it would also like to elaborate with prospective students, some pastoral orientations for the life of Christian communities in an environment deeply marked by the presence of Muslim communities. The programme of I.F.I.C. is based on the two axes mentioned above. It offers 480 hours of courses or 16 hours a week to students coming from French speaking African countries. Since 2007, the year it was set up to 2017, it has trained 105 formators. The academic year lasts from mid-October to mid-June and students receive a Certificate in Pastoral Studies on successful completion of the course. The teaching team do their best to look for scholarships for African churches and congregations in order to defray the cost of training (A full year’s training costs €3,300 euro). Since 2014, the new administrative team has begun to reflect on the possibility of the sending organisations contributing something to the cost of tuition. Participants are mainly priests, pastors, members of religious congregations, lay parish workers, members of commissions involved in Encounter and Dialogue at national and diocesan level, leaders of Catholic Action Movements, as well as teachers and educators. In October 2017, I.F.I.C. will celebrate the 10th Anniversary of missionary service to the training of formators in Interreligious Dialogue particularly Islamo-Christian dialogue. Abbas Aroua ,an Algerian medical and health physicist deeply involved as a human rights defender, peace worker and political activist, once wrote, “The present world is the victim of two plagues: injustice and ignorance of the other.” And ignorance as Fr. R. Lafontaine, S.J. reminds us is the “mother of violence.” As an Institute at the service of the French speaking African Church, the mission of I.F.I.C. is to combat reciprocal ignorance. This means that the Institute’s only raison d’être is to be of service to the African Church in its mission to its Muslim brothers and sisters, in so far as that Church feels the need to overcome mutual ignorance.